When it comes to scenery and terrain for gaming, there's a wide variety of options these days to choose from. Some companies specialize in specific scales, others do a little bit of everything. JR Miniatures falls into the later category. They're a company that have been creating terrain for wargaming since 1989, which is much longer than the majority of the companies who out there today at it. JR Miniatures creates a variety of different pieces in scales ranging from 6mm through 28mm, and most of the scales in between, all separated by genre. Today I'm here to talk about some of their 15mm scale models from their WWII, and Stalingrad ranges, plus a few pieces that are useful in conjunction with these models. JR Miniatures use a variety of different products to cast their models. Most are cast in drystone, which is a really durable cement-like substance. Many other models are cast in polyurethane resin. Lastly some of the other products they offer like roads and river bits are made with RTV, which is a latex-free polyurethane rubber. This is a rather large piece, cast in resin, from their Stalingrad range of 15mm scale models. At first glance the detail level is really impressive. Upon a close inspection loads of other little details are revealed like railroad car axles, crates, steel girders, and various bits of debris tossed all about the interior. The exterior looks like a bombed out factory that you might find in Stalingrad in the WWII era, complete with red stars on the exterior molding. By design there's no assembly to speak of. This model comes pretty much finished as a single piece, completely ready to prime and paint. All I had to do was clean up some very minor flash around the window seal edges, and make sure there was no residue left over from the casting process. All in all, it took me about 10 minutes to get this model ready for primer. There's loads of room inside for hiding infantry stands for Flames of War, and most any other 15mm scale single models, or close to it. You could even scoot some tanks up inside the interior if you wanted too, it's quite a roomy piece, although it would likely be considered very rough terrain due to all the debris inside. This piece retails for $29.00 USD, and for a piece this large, this detailed, and cast in resin, that's quite reasonable, if not totally a steal. Here is another piece from the Stalingrad range that JR Miniatures has to offer. This model isn't quite as large as the Red October Factory, but it's a substantially impressive piece in size. Finely cast in resin as well, clean up and assembly isn't too complex of a process. A tiny bit of flash was removed here and there, but for the most part it's not a complicated model to prep for primer and painting. Like the factory, this one also took no more than 10-minutes to get it cleaned up and ready for priming. From the front you'll find a really nice store-front building facade. Actually it looks like two buildings on the same block, which is how I painted mine. To me it looks more like a corner drug store with another building right next door to it. For the most part it's a completely bombed-out building from the rear, as the interior is filled with busted up debris thrown all about. There's not a whole lot of room for Flames of War size infantry stands, but most single based 15mm sized models can find some room to move about, and utilize this structure for cover. The level of detail is also very crisp and defined. At $17.00 USD this is another really nice piece for most any 15mm scale WWII tabletop setting. This model is as the name implies, is a drystone cast representation of a French post office from Caen during the WWII era. It actually looks like a rather large house to me, but I'm no expert on European architecture either. Being drystone this is quite a heavy model, because pretty much this is a hunk of cement, that just so happens to look like a WWII-era structure. Clean up wasn't too complicated, as you don't really need to wash, or even prime the drystone models, but I opted for black primer on mine, because old habits are hard to break. The only issue I have with the drystone models is that if there is any imperfections, like tiny little balls of extra residue in the corners where the windows or doorways are, they're a little harder to cut away than plastic or metal. This is after all cement, not metal or plastic, both of which usually cut much easier than something as solid as rock like drystone. This model was quite clean for the most part, so thankfully it didn't take me longer than a few minutes to get this piece ready for primer and painting. This isn't a tiny piece, but it isn't a very large piece either. In 15mm scale I'd have to say it's big enough for some tanks or infantry to hide behind. There's surprisingly a lot of detail to be had even though this is a drystone piece. Granted it's not as crisp as their resin models, but $8.50 USD there's not much to complain about. Also this is the kind of piece that would probably last forever, because being drystone you don't need to worry much about it chipping or breaking, that is unless you drop it on your foot, and then you run the risk of breaking a foot or toe, but not the model itself. This is a rather small piece, also cast in drystone. This is what to me looks like a small farm house, which has been shot to hell by some artillery, or a rogue tank shell. There's a lot of debris all around the front and back of the structure, plus you can see inside a little where what ever hit this structure landed. There's just enough room around one side of the model for a single Flames of War infantry stand to fit, or a number of single based 15mm models, which ever the case may be. Once again clean up wasn't too complicated, as being drystone there's not a lot of imperfections or cement-like flash to worry about. A few tiny balls of extra cement was found here and there, but instead of dulling a brand new hobby blade, I used an older dull one to cut into the cement and clean them up. The entire piece fits into the palm of your hand, so it's not really large, but for as small as it is the detail is quite pronounced and crisp. Overall this is a very easy model to paint up and finish in no time, and best of all it carries a price tag of just $5.75 USD. I'd say this is a medium size piece, because it comes on it's own little lot of land, complete with a courtyard as the name implies. There's enough room to squeeze a Flames of War infantry-size stand or two in the front, and a number of single based 15mm models in the area all around the structure. The structure itself looks to have taken quite a few large shells in two different spots. There's also a little half-wall running around the entire courtyard, offering a little cover for would be campers on the property. Once again, this is a drystone piece, but the level of detail is quite impressive with some 55-gallon drums out front, and little bits of ground detail and debris all about. Clean up didn't take much effort, although I found a few tiny bits to cut away from inside of the largest shell crater in the structure. That aside, a few minutes after liberating it from the packaging it was ready for painting. This piece carries a price tag of $9.00 USD. This is by far the largest piece I've seen ever from JR Miniatures. This is essentially part of a large city block, which models a rather large rowhouse as the name implies. This piece is cast completely in resin, and the level of detail is quite impressive. Inside the interior there's debris all over the place. If you were a stickler for attention to detail, you could go nuts with this piece. The exterior facade is riddled with dents and damage from bullets and no doubt artillery and tank shells. There's also a second floor piece which you can use, or not. With it you can fit some Flames of War size infantry stands in the upper level. Oddly being the largest piece, and as detailed as this is, I really didn't expect it to be the hardest one to clean up and prep for painting, but it was. The problem I have with this piece is that almost every single window opening required cutting flash and extra debris away. Some bits were literally clogged up with extra resin, which took me using my pin vice and a large drill bit to drill into it to make a hole, and then using my knife to cut away the extra crap. This one took some work, and as large as it is, that was no fun. The end result tho really is quite impressive, and it was worth it. This is pretty much a small city block in a single resin cast model, and the details are quite crisp, and overall it definitely looks the part. I'd imagine combined with Ruined Rowhouse #1 and the roads set, this would make for a pretty sweet centerpiece of most any 15mm scale WWII-era gaming table too. At $39.00 USD it won't be on everyone's must-have list, but as large and detailed as it is, even with the little extra work required to clean it up, I think it's worth it. This is a unique little product. It's also fully painted and sealed, ready to play right out of the packaging. Essentially this is a hunk of rubber, resembling red paverstone detailing, which is red brick. This makes for a really nice area to set up buildings upon, and it's thin and durable, and they claim this material doesn't shrink, it doesn't have an odor, it won't distort over time, and it's latex free. It's also supposed to not be effected by heat, cold or moisture, and even if folded it goes back to its original shape. In terms of size it comes as a 12 inch X 12 inch square pad. It makes a nice centerpiece to setup the center of town with. In conjunction with the 15mm scale models reviewed above, it looks pretty nice too. It also would work quite nicely with other scales too, like a small town square for even 28mm scale models. I thought of using it for Freebooter's Fate even, and I'd imagine Malifaux and other similar games might find it useful too. At $17.00 USD it's not terribly expensive either, and it looks really nice, and for being rubber it's nicely detailed. Lastly this is another product utilizing the RTV material found in the Red Paverstone Mat. This set comes with three long straight pieces, a small square-like piece, and two L-shaped corner pieces. All of these pieces resemble a cobblestone road, and in various places there's damage and debris. The best part is that this set is fully painted and sealed, and ready to go right out of the package. No preparation, no painting or sealing at all. Open the packaging, set the pieces up how you like and begin playing. It's that simple. This is also the most expensive product in the entire review, but it's also one of the only fully painted and ready to go products as well. 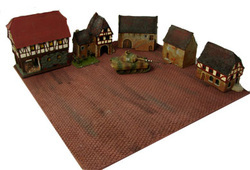 At $48.00 USD this definitely won't impress the budget minding 15mm WWII gaming enthusiast, but others looking for some really nice roads, painted to a hair about tabletop standard, and ready to play will find this set quite useful. If you're a Flames of War player, or someone who plays other 15mm WWII wargames, I can't really think of a better company to recommend other than JR Miniatures. I reviewed some of their products back in 2003 and one thing is for certain, they're consistent. They had nice reasonably priced models back then, and they still have really nice and reasonably priced models now too. In the overall scheme of things, they're probably one of the most reasonably priced options out there in 15mm WWII genre structure and scenery models. The detail level even in drystone is pretty impressive, and the drystone stuff will last pretty much a lifetime. 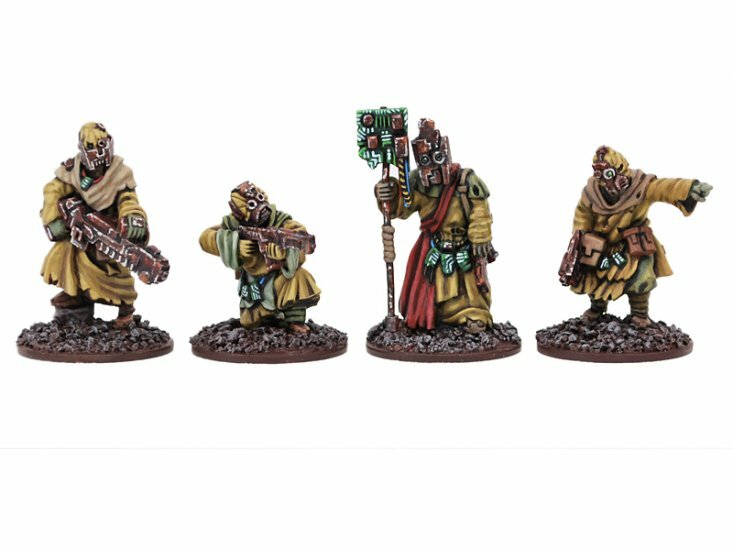 Their resin models might cost a bit more than the drystone castings, but if you dig around the internet you'll find that compared to other options out there, their resin models are also priced quite competitively. I like that the drystone stuff is wicked easy to paint, as I won't waste my good paints when it comes to terrain due to the size of the pieces, and everything in this article was painted for the most part with Apple Barrel and cheap 99-cent craft store variety acrylic paints. For the guy looking to make some impressive dioramas, investing more time in the painting process would no doubt yield even more impressive results. The details are there, it's just a matter of how much time and effort you want to devote to terrain really. 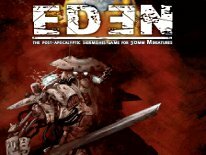 More recently I've been digging into the game Heavy Gear from Dream Pod Nine, which is a sci-fi game in 12mm scale, which is so close to 15mm, that I've found this stuff useful for it even. Nothing says even in a sci-fi universe that there's not old well kept vintage structures and scenery left on Terra Nova in the region of Europe right? What's more, not a lot of this stuff is really expensive, or breaking the bank, and there's so many other inexpensive drystone models to choose from. From what I understand JR Miniatures has roughly 700+ models in all listed at their website. I only touched the surface when it comes to 15mm models too. I selected to cover the models I felt looked the nicest, and were priced fairly. There's categories for 15mm Ancients, ACW, Middle East, Austria/Bavaria, Italian, Late War, Napoleonic, Prussia, Stalingrad and a general category for 15mm WWII. That's just what they have in 15mm. There's definitely something for every wargamer looking for scenery and structures for tabletop gaming at JR Miniatures website.